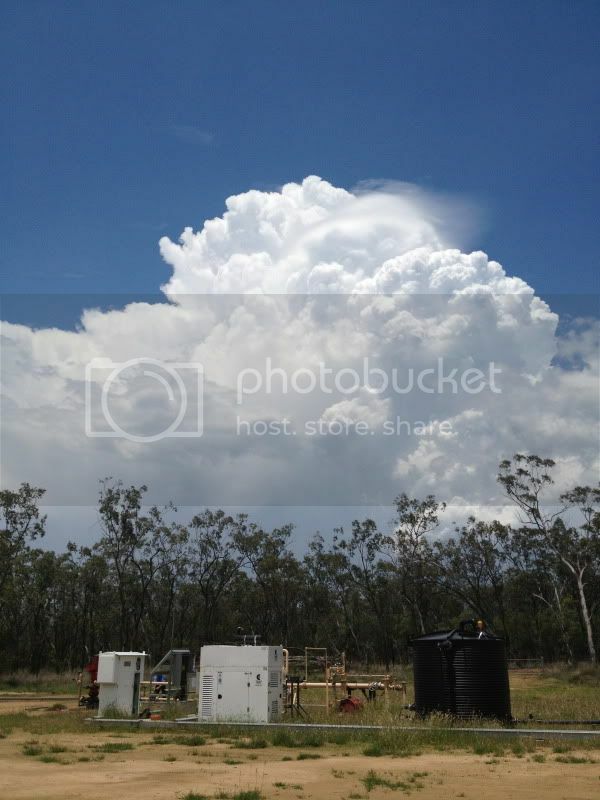 A few pics from several cells that passed over the gas field today!! Re: Storm season is here! We've had a constant 30kt+ westerly for a week now, no rain yet though. We're just heading to Barrow in a big square box! and copping a pizzeling! !never mind one week to go!! Yeah its not much better in New South eigther " their goes the fire season AGAIN"
The pics were taken about 100km north of Roma, QLD. Great shots and video Capt H!! Wow. 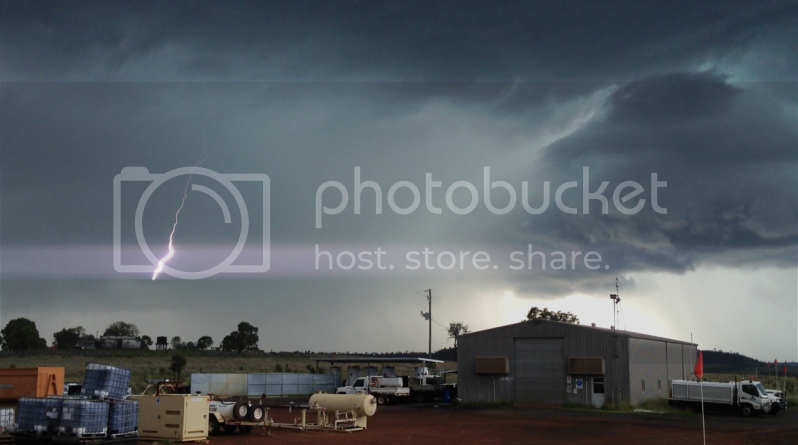 Nice Wall Cloud shot. Should send them into the BOM. They have a calender competition where they pick the best weather shots and put them into a calender. Not much better today! Bright and sunny 30mins later! Impressive stuff! Love a good storm. 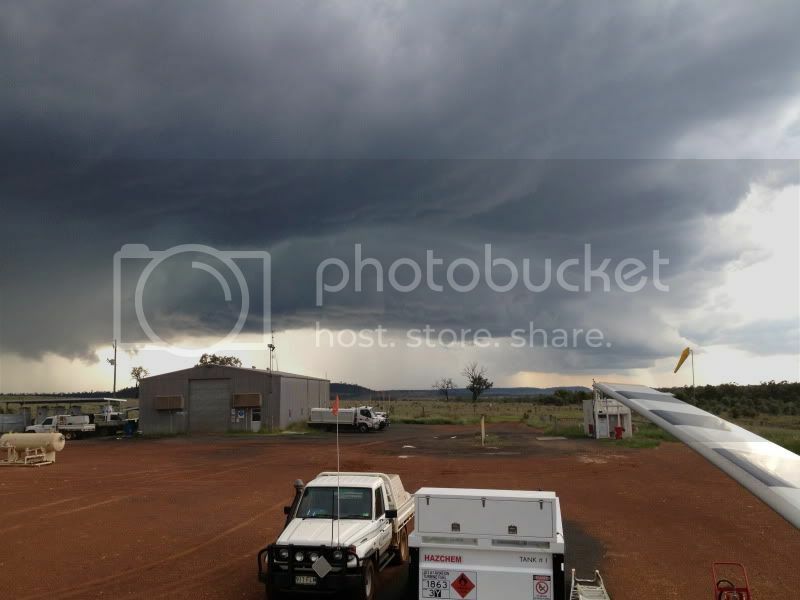 Classic Gust Front on that first photo !! !